Our Camburg Icon sticker is 4.25″ wide by 1.87″ tall and has a UV clear lamination to keep it looking fresh under harsh conditions. We include 6 of these, enough to tag your truck, tool box, fridge and everything else in sight. Price includes shipping! 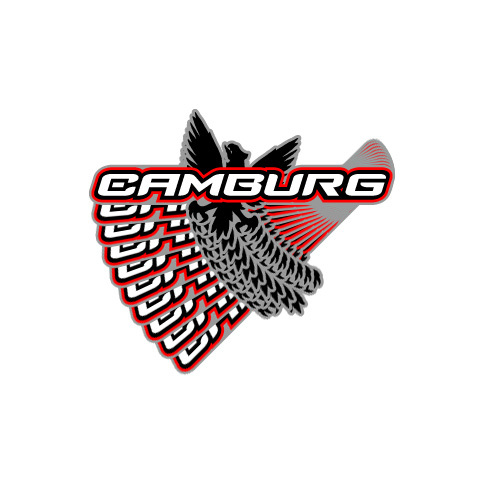 Our Camburg Icon sticker is 4.25″ wide by 1.87″ tall and has a UV clear lamination to keep it looking fresh under harsh conditions. We include 6 of these, enough to tag your truck, tool box, fridge and everything else in sight. Price includes shipping! You can also send us a self addressed envelope and $5 and we’ll ship them to you too.